Summary: Researchers report walking at a brisk speed can help to increase your lifespan. The study reveals walking at a normal speed is associated with a 20% reduction for all cause mortality, and brisk walking reduced risks by 24%. Published today, the findings appear in a special issue of the British Journal of Sports Medicine dedicated to Walking and Health, edited by lead author Professor Emmanuel Stamatakis from the University of Sydney’s Charles Perkins Centre and School of Public Health. “A fast pace is generally five to seven kilometres per hour, but it really depends on a walker’s fitness levels; an alternative indicator is to walk at a pace that makes you slightly out of breath or sweaty when sustained,” Professor Stamatakis explained. In light of the findings, the research team is calling for walking pace to be emphasised in public health messages. NeuroscienceNews.com image is in the public domain. 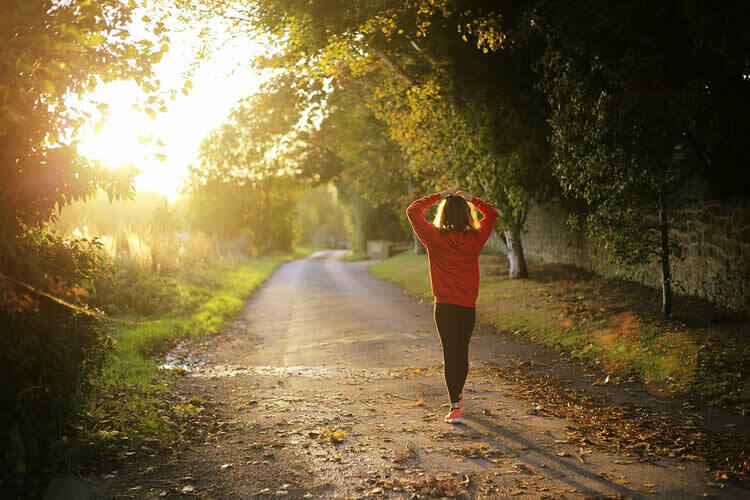 “Assuming our results reflect cause and effect, these analyses suggest that increasing walking pace may be a straightforward way for people to improve heart health and risk for premature mortality – providing a simple message for public health campaigns to promote. Original Research: Open access research for “Self-rated walking pace and all-cause, cardiovascular disease and cancer mortality: individual participant pooled analysis of 50 225 walkers from 11 population British cohorts” by Emmanuel Stamatakis, Paul Kelly, Tessa Strain, Elaine M Murtagh, Ding Ding, and Marie H Murphy in British Journal of Sports Medicine. Published June 1 2018. University of Sydney “Walking Faster Could Make You Live Longer.” NeuroscienceNews. NeuroscienceNews, 1 June 2018. University of Sydney “Walking Faster Could Make You Live Longer.” http://neurosciencenews.com/faster-walking-longevity-9208/ (accessed June 1, 2018).